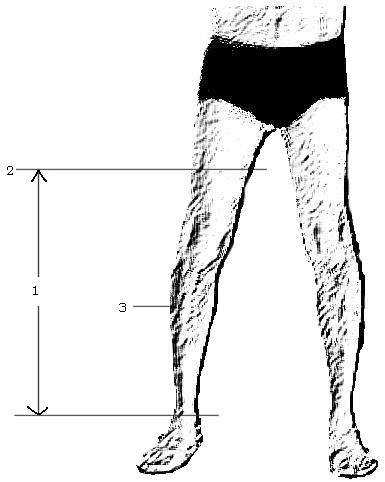 First thing you do is to measure from the middle of your thigh down to your ankle (Number 1). you leave them wide enough at the anke to get over your foot (experience talking here..). needle goes in one side and out the other about 3/8" apart for you non-sewing types). Just put a simple knot at the end for now. Then check them for fit. adjust your stitching till it does. stitching and about 1/2" on both sides of the seam. Then a hole at the same location in the flap. front hole and through the flap. Tie it off good and your are ready to hit the woods!